The intake of gluten and casein has been found to be linked to the symptoms of children with autism. By completely eliminating gluten and casein from the diet, we believe that nearly all children with autistic tendencies can dramatically improve. 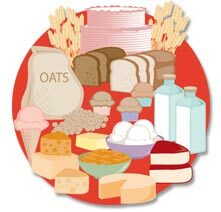 Gluten is a protein found in wheat, barley, oats, and rye. In order to eliminate this protein, foods like breads, baked goods, cereals, cookies, crackers, and pizza must be removed from the diet. Casein is a protein found in milk and milk products. In order to eliminate this protein, foods like milk, cheese, ice cream, and yogurt must be removed from the diet. Additionally, casein is a common additive in the food industry, and care must be taken when purchasing all foods to check the listed ingredients. A balanced diet is definitely possible and strongly encouraged even with the gluten/casein restrictions. 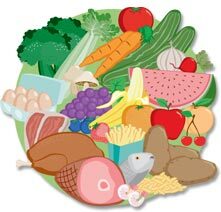 Eggs, meats, vegetables, fruits, and nuts are highly recommended. We understand that many of your child's favorite meals are represented in the list of foods restricted by the gluten/casein free diet. This, accompanied by the addictive quality of morphine compounds, often makes "enforcing" the diet a difficult task. However, many parents who have stayed the course have witnessed dramatic and sometimes miraculous improvements in their childrens' symptoms. If you need any more information, feel free to contact us. I would like to put my son on the diet, but he really loves bread. What should I do?